We are one of the preeminent importers and suppliers of Nettled Leaflet Stands in the market. 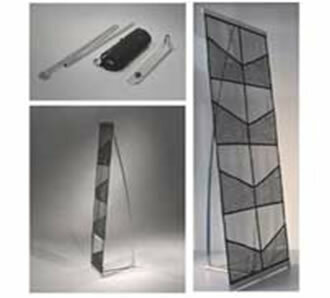 Our Nettled Leaflet Stands are tough and corrosion resistant due to which they are widely popular in the market. Having a nettled look which gives it an impression of a net our Nettled Leaflet Stand is available in well defined shapes and sizes.